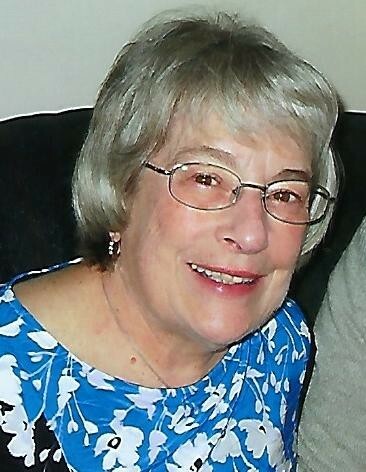 Marcella “Sally” Marie Thomson, age 73, passed away on Friday, September 7, 2018 at St. Elizabeth Hospital. She was born to the late Mark and Agnes (Bayerl) Fuehrer. Sally married her husband, Robert “Bob” Thomson on March 12, 1966. Sally graduated from PJ Jacob High School, UW-Stevens Point, and Midstate Technical College. Her career included work for Riverview Hospital and Nursing Home as a dietitian. After retiring, Sally and Bob moved to Appleton to be closer to family. Sally was very active in her parish, including leading the Elizabeth Ministry Program, a leader in the local TOPS Chapter, and enjoyed her Red Hat Group. She became friends with everyone she met. We’re sure she will keep the great spirit up in heaven. Sally is survived by her husband of 52 years, Bob; her children: Barb (Arnold) Steinfeldt, Diane (Steve) Mitchell, and Rick Thomson; her grandchildren: Evan and Morgan Steinfeldt and Katie and Mikayla Mitchell; her brothers: Bill Fuehrer, Marvin (Lila) Fuehrer, and Ray (Jeanne) Fuehrer; sisters-in-law: Judie (John) Sylvester, Sue (Mark) Alden, Linda (Leon) Maccaux, Mary (Joe) Westberg, Laurie (Bob) Conrad, and Kathy Fuehrer; brothers-in-law: Bill (Kelly) Thomson and Ray (Joan) Thomson. She is preceded in death by her parents, her brother Joe Fuehrer; and her sister-in-law Annette Fuehrer. A Funeral Service for Sally will be held at 11:00 a.m. on Friday, September 14, 2018 at SAINT MARY CATHOLIC CHURCH, 312 S State Street, Appleton, with Fr. Bill Swichtenberg officiating. Visitation will take place the night before, Thursday, September 13, 2018 at BRETTSCHNEIDER TRETTIN NICKEL FUNERAL CHAPEL from 4:00 p.m. until 7:00 p.m. with a Prayer Service to conclude the evening. Visitation will resume the following day at church from 10:00 a.m. until the time of service.